Hide this Dealer (Heena Khan) Discover properties by other dealers by hiding those whom you have already spoken to. You won't see them in your searches further but you can unhide anytime later. Hide this Dealer (Propwisdom)Discover properties by other dealers by hiding those whom you have already spoken to. You won't see them in your searches further but you can unhide anytime later. 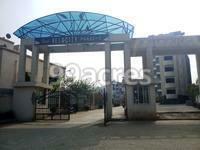 Prithvi Sai Velocity is a residential development. It is an ongoing project of Prithvi Shelters. It has a thoughtful design and is being developed with all the modern day amenities as well as basic facilities. The project offers 1BHK, 2BHK and 3BHK apartments. What is the location of Prithvi Sai Velocity?The location of the project is Bavdhan, Pune. What size of flats are available in Prithvi Sai Velocity? The apartment sizes in the project vary from 715.0 sqft to 1495.0 sqft. What is the area of 1 bhk in Prithvi Sai Velocity? 1 BHK units in the project are available in a size of 715.0 sqft to 769.0 sqft. What is size of 2 bhk in Prithvi Sai Velocity? The area of 2 BHK apartments ranges from 1103.0 sqft to 1192.0 sqft. What is total size of Prithvi Sai Velocity?The project is built over an area of 1.68 Acres. Established in the year 2003, Prithvi Shelters is a brand of repute in the real estate space of Pune. It is known for maintaining transparency in each of its dealings and transactions. Guided by the philosophy of exceeding customer's expectations rather than just meeting them, the company has successfully completed numerous prestigious projects that stand as testimony to its name. It is driven by the vision to become the best real estate company and to enrich the lives of its customers through its superior projects. Hi, where is Sai velocity project is located ? Is this is a good project to in vets in? I want to know about the location of this project. Hi Pratham, Sai velocity is located at Bavdhan, Pune. This group of builders are reputed in the market. You will like the location of this project. And for exact location you can look for direction above.